Repeating logo backdrops. What are they and why should you have one? You're seeing them more and more often and may not even know it! The repeating logo backdrop subtlety reminds us of the company, product or event in every picture we view or video we watch. When you have a repeating logo backdrop on site and available you will be amazed at how often you use it. It could be set up in your office lobby or in a meeting room. When someone comes to visit your facility they can take a w photo in front of it to share on social media, text or emails. It will be available so if someone is going to video conference they can sit in front of it giving them the effect of being on the set of a studio. We see this all the time on news shows when someone is being interviewed. In addition to the guest's association with an organization being mentioned during the interview their corporate affiliation is in front of the viewer the entire time. Now that we have put a name to the product and mentioned some of its many uses in marketing, we're certain you've realized you see them everywhere! 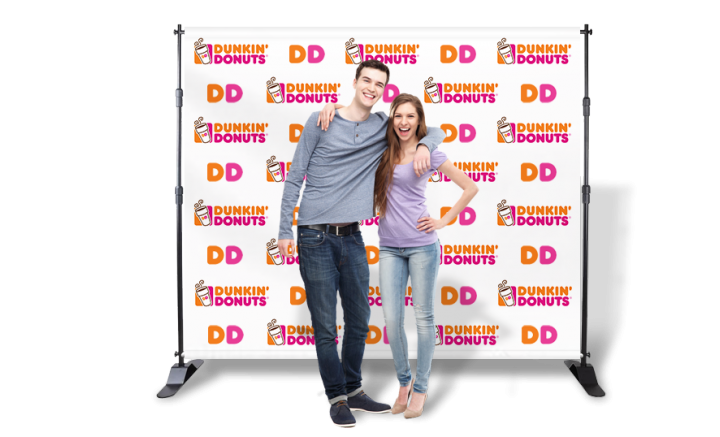 Portable repeating logo backdrops can be taken to trade shows and other multivendor events and used to dress up up booths and other spaces with no additional expenditure. Set one up outside a meeting space to announce your presence. 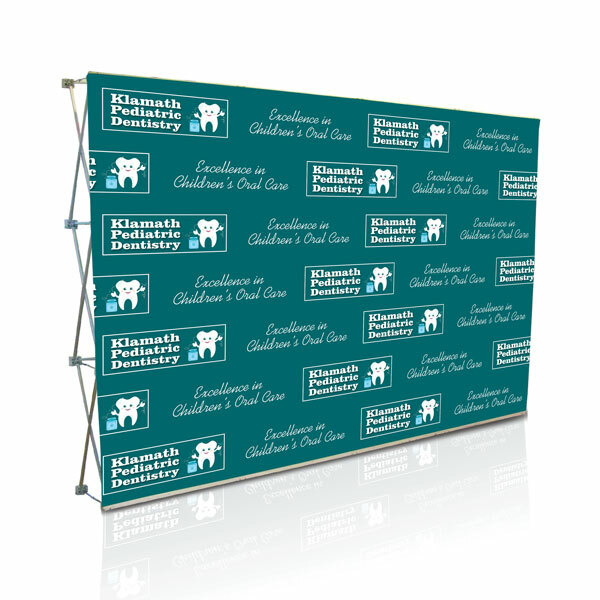 You'll find dozens of opportunities every year if you have a step and repeat banner on hand. You see them at corporate and charity events advertising sponsors in every photo and video taken by attendees. Repeating logo backdrops are even showing up at weddings for guests photo opportunities and for those now required video wishes to the bride and groom. You see them at birthday parties, anniversaries and graduations. Starting for as little as $350.00 you can add a repeating logo backdrop to your visual marketing toolbox. Once you own the banner stand, you can change the graphics easily and inexpensively to support your latest event or product. Call Paul at 517.482.5431 to place an order or for information on custom artwork.